All guys have had an experience or two where their shirt collars have fallen flat. Most guys will use and sometimes even wash the flimsy collar stays that come with the dress shirts. Guys, those are meant to be taken out when you're not wearing your shirt! Other guys will buy stiffer plastic collar stays from their nearest tailor or favorite menswear store. Once they've lost their ability to prop up your collar, they end up in the trash bin. Another piece of plastic in your landfill that's non recyclable! Wurkin Stiffs was started by Jonathan Boos as a result of a wardrobe mulfunction while preparing for a dinner engagement. "I was getting dressed to take my wife out for dinner and have drinks with our friends in downtown Sarasota. My wife had bought me an expensive shirt the prior week, in which I was putting on to wear for that evening. Looking in the mirror, I could not believe the shirt's collar. It would flare out and not stay in any position I would put it in." A lot of guys go through this not only before a dinner date but every time we put on a dress shirt. As a result, Jonathan came up with the first magnetic collar stay, Wurkin Stiffs. Priced from $35-70, the collar stays come in a variety of pattern and styles. The Power Stays are put inside your shirt's collar stay pockets with the super strong magnets placed on the inside of the shirt. The collar then stays in place, in whatever position you want. The collar stays are 2.5" long, pretty standard length for most shirts. 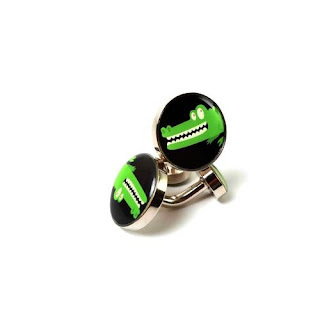 Outside of the collar stays, Wurkin Stiffs also has an amazing collection of fun cuff links. Just a note of on cuff links, make sure they don't take over your outfit. Keep it chic, cool, and collected. Click here to purchase your Wurkin Stiffs Power Stays and Cuff Links. One of the most celebrated electronic devices of 2009, the Kindle from Amazon is a must have for the guy who is an avid reader. 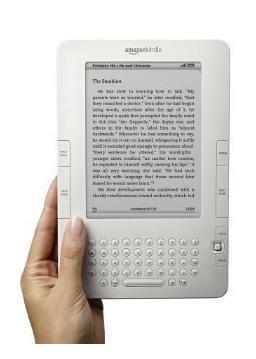 Why carry a bunch of books from the library, when the Kindle can hold up to 1,500 titles in its magazine-thick casing. Its got 3G wireless so you can order books, read blogs, and access wikipedia from practically anywhere. You can read for a week without having to recharge the battery; much better than the old model that only lasted for 4 days. 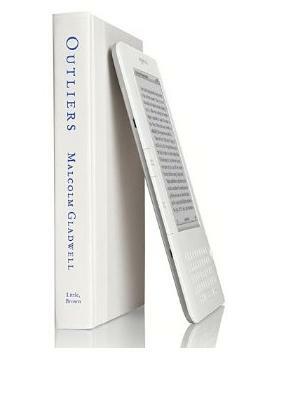 And if you get tired from "flipping the pages", you can have Kindle read you the book in clear audio. Available on Amazon for $259. Sometimes shopping last minute has its price. 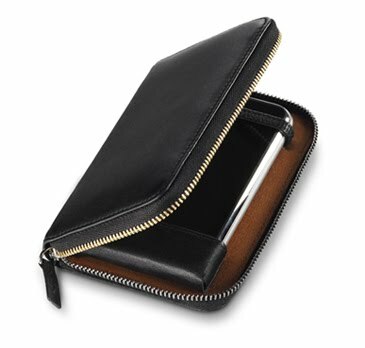 At $150, this full grain leather IPhone/ITouch case makes a great present for your techie yet sophisticated boyfriend. The minimilast aspects of this leather case makes you wonder why it costs so much. Well, its soft leather case, stylish gold zipper and minimalist functionaility makes it more than its worth. It also not only holds your gadget in place, but has enough room for business cards, credit/debit cards, and your executive class frequent flyer card. 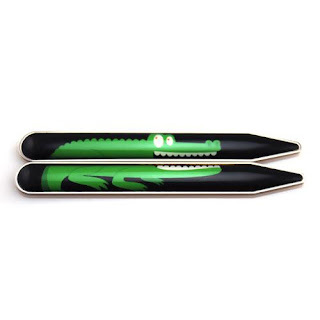 If you're looking for something to stylize his I-device, this will fit the bill. Available online at Want Les Essentials de la Vie. The argyle pattern has made a successful comeback over the years. You can find in socks, shirts, and of course sweaters. Joe Fresh is a high style, low price Canadian brand that has produced some good sweaters for guys this season. Argyle sweater make can easily be dressed down or up. The v-neck styles make great dressy sweaters while the round neck ones are good for a casual dinner date. 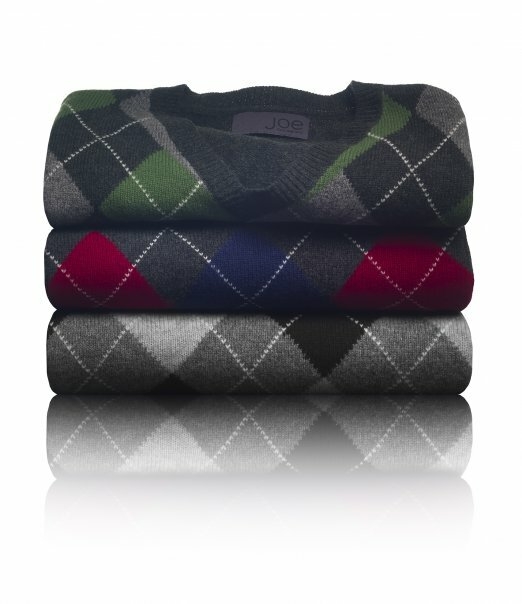 Priced at $39, Joe Fresh's assortment of wool argyle sweaters make a great last minute present for the men in your life. Go to Joe Fresh for more gift ideas. John Varvatos continues to be one of my fashion and fragrance icons. His clothing and fragrance line to me epitomizes what COOL looks and smells like. In the summer, the Artisan fragrance was a hit among ISTYLEU readers. 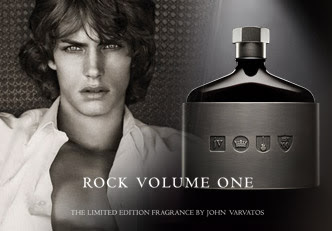 This Christmas, John Varvatos would like you to try Rock Volume 1. Yes, there's word of a volume 2 just like one of those "Best Of " CD sets. Given the rock and roll inspiration behind the product, the box resembles that of a speaker. And as you open the box, its hard not to notice the heavy metal casing and bolt cap packaging of bottle. 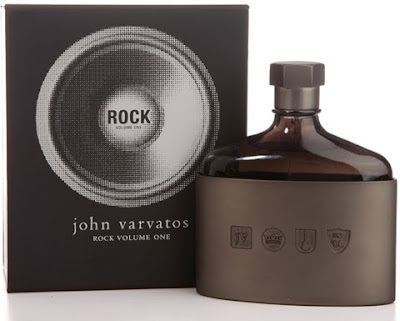 The flask shape and the JV icons on the casing tells the whole story around John Varvatos and his love for Rock and Roll music. My interpretation of the icons "John Varvatos.King of Rock and Roll. Established in 2000". The rock and roll vibe carries on to the actual scent of this product. With notes of coffee and rose absolute, this Fall scent is sensual, masculine, and explosive. Outside of the great scent, what also struck me about the fragrance is its longevity. Where some colognes easily evaporate when sprayed on your skin, this one lasted for at least 24 hours. On my clothes, they've lasted for longer making it a great all-day, all night fragrance. For more information on John Varvatos Fragrances click HERE. What makes a great T-shirt? Wearability. Unique design. Fit. Sometimes when guys buy tees the first thing we look at is the brand. Brands come and go, but quality doesn't. The best t-shirts I find are made of 100% cotton, have a modern fit, and a design that you don't see on every man at the mall or on the street. 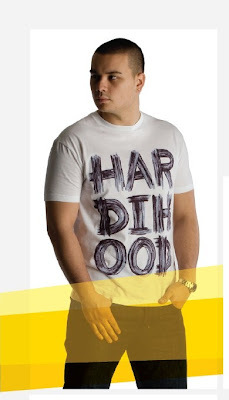 Hardihood shirts and hoodies fall in that category. With products made in Canada, the brand reflects the "courage to be different". And it shows in the diversity of designs of their tshirts and hoodies. 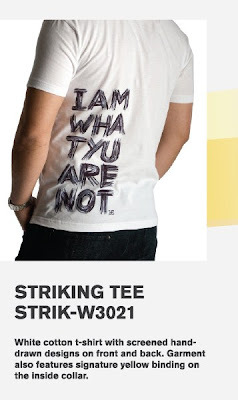 One of my favorites from their Fall-Winter collection is the Striking Tee that retails for $80. I refuse to wear t-shirts that have big, obnoxious, overpowering logos in the front. But for some reason, this t-shirt was different. The graffiti like print, the 3 letter breakdown of the name (makes you read), and the strong style statement on the back makes this a unique piece. Plus its made of 100% cotton and has a great feel to the skin. Another piece you should check out is the Motto Pullover. The best hoodies are the ones that have weight and substance, not just in design but also in the fabric used. This thick cotton-poly blend hoodie has a thermal lined hood which keeps the your head warm during those cold winter days and nights. The gel screen print design on the back of Hardihood's unique slogan also gives this simple hoodie an elegant touch. Some celebrities spotted wearing Hardihood include Taylor Lautner from Twilight and New Moon fame, DJ Roger Sanchez and Minnesota Twins hitter Justin Morneau. "I AM WHAT YOU ARE NOT" is a life motto every person should live by. One must strive to be different and globally we have to celebrate those differences. Start by picking up one of these pieces at the following stores listed here. The last time I did a review on shoes from Simple, I commented that "it felt like I was walking on air". This holiday they've come out with a new line eco-friendly shoes that doesn't disappoint one's sensitive feet. 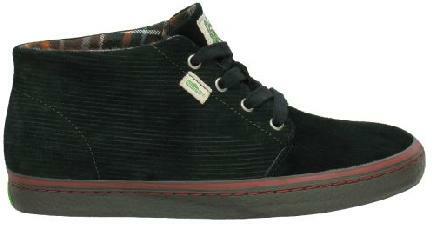 One of my favorites from that line is the CARwalk, which is made from eco-certified suede. You're probably what that means. To keep it simple, the suede is from an eco-certified tannery (BLC/ISO 14001). A tannery is a place where hide is treated to make it into leather. Aside from the suede, the shoe's flannel lining and shoe laces are made from organic cotton from non-genetically modified seeds and is grown without the use of pesticides and herbicides. So what makes this shoe so soft to walk on? The "pedbed" aka the cushiony and supportive padding at the bottom of the shoe, is made of super soft, squishy polyurethane and recycled car tire. The sole is also made of recycled rubber tires offering great grip for those slippery slides in the rain. In black and in classic taupe, the skate style casual looks of the CARwalk make it a great addition to any man's shoe collection. Spray it with some eco-friendly all protector water repellent and you're ready to battle the elements of the season. There are two things that tell a woman where a man is in his life - the shoes he wears on his feet and the watch on his wrist. You don't have to be wearing a $3,000 dollar watch to impress the ladies, but you need a watch that defines your personal style and exudes confidence. Marc Ecko's The Maestro is one such timepiece. More of a casual sport watch, this dual time zone unit has the weight of a more expensive timekeeper. It features a polished stainless steel case, a piano black top ring, a scratch resistant mineral crystal face and a black polyurethane strap. The watch also has a depth rating of 50 meters (150 feet). I had the opportunity to test this versatile watch over the last few weeks. The piano black top ring makes the watch easy to pair with a suit jacket and dress trousers. The casual elements of this watch like the rubber strap works well with a pair jeans and a t-shirt. My only wish was that the Maestro had a date function. However, this makes a great present for the guy who's looking for low price-high style watch, who travels quite a bit between two time zones or simply wants to know what time it is in another part of the world. Price is $165. 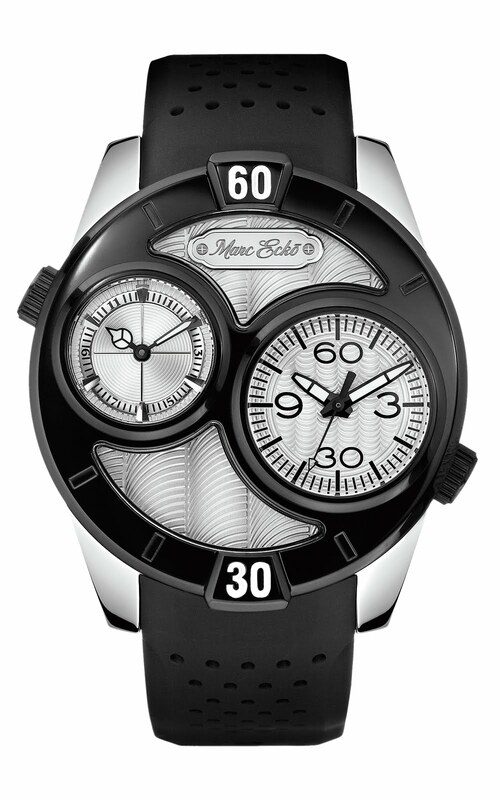 Available where Marc Ecko watches are sold. Visit Marc Ecko online for more information. Paulo Vallejo is a Vancouver-based STYLE ARTIST who is a true master of his craft. His knowledge of fashion is driven by his personal style and creativity. His work graces various print media in fashion and advertising. He's also a freelance writer who pens on topics around personal style and the latest fashion trends across the globe. As a personal shopper, he works with individuals to define their image, create their unique style, and shop for the right pieces to complement their existing wardrobe. Visit http://istylephoto.blogspot.com to view samples of his work.